This morning, I was reading in the forums of a beer site that I sometimes enjoy when I’m trying to get out of my own head and find out what other beer fans are thinking. The site is called beerspot.com, and I highly recommend it. 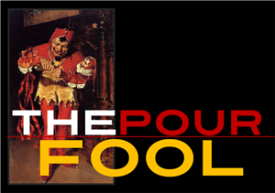 The forums are more erudite and far less chock full o’ pretentious nonsense than some others I could name and the discussions are frequently REAL discussions: I make a statement, you think and respond, others think and chime in. It’s really refreshing. Well…okay. I can admit to a certain homeristic fondness that may sometimes creep into my thinking. But, as a rule, I stomp that down any time it raises its ugly head. Neither I, nor any other reviewer of anything, can afford to wallow in cheap local or regional favoritism if they expect to have any ongoing credibility. Many NW writers, to short-circuit this problem, simply decide to write only about their own backyard. 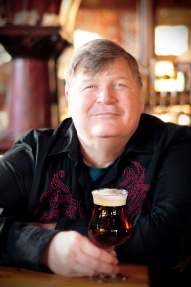 But, in both beer and wine terms, that’s being handled expertly and very readably by Paul Gregutt, covering NW wine for Wine Enthusiast and Kendall Jones, whose Washington Beer Blog is a frequent diversion for me when I get sick of typing. Both these guys know their subjects, backwards and forwards, and both are good writers. I have little or no desire to compete in anything except the occasional game of Horse or poker, so I mostly leave Washington in their capable hands. Also, having to restrict myself to one region would bore me unto Grim Death. 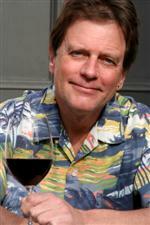 So, I think globally about wine and spirits and at least nationally about beer. So, I wanted to reply to Mr. Sebowski, the author of the post above. 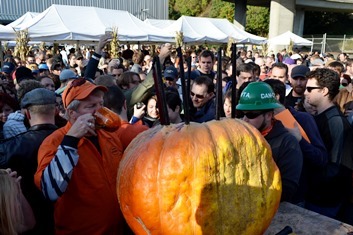 There is a very simple explanation for why most of the rest of the world and the US would think I was just being a homer for listing Seattle third on a list of Best Beer Towns. They simply never get to try our beers. That sound facile? Sorry, but the fact is, it’s true. Seattle is somewhat geographically isolated. The same can be said for Portland but there is a fundamental difference in attitude between PDXers and Seattleites. Portland is chock full of brewers and breweries whose ambitions run to national distribution and broad acclaim. Names like Hopworks and Laurelwood and Widmer and Bridgeport are familiar to almost all American craft beer fans. Quick, other than Pyramid and Red Hook, name two Seattle-area breweries. Difficult, isn’t it? Seattleites are famously reticent, somewhat less ambitious (at least on a large scale) than their Portland counterparts. and somewhat like the rest of us here in feeling as if the rest of America is waaaay…Over There, somewhere, and best left at that comfortable remove. 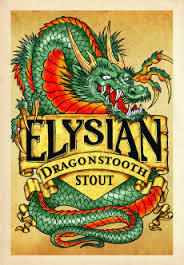 You may have gotten Elysian and should have come up with Pike but beyond that, out of King County’s fifty breweries, you outside WA state are probably stumped. Until the past five years, if you live anywhere east of, say, Denver, and you found a bottle of beer made in Seattle, chances are it was from Pyramid or Red Hook. For decades, despite a burgeoning craft beer culture, Seattle breweries didn’t package much of anything. And those who did, like Maritime Pacific and Hales, generally only distributed them within Washington state, possibly to Montana and Alaska, and usually to Oregon and Idaho. During those same decades, Colorado was spewing out Oskar Blues and that new-fangled craft beer in cans(! ), Great Divide, Avery, Left Hand, Boulder Beer Company, and a healthy handful of others. California was flooding the market with dozens of brewery offerings. Oregon’s beers traveled all over the US, as names like Full Sail, Deschutes, Bridgeport, and Henry Weinhard (now in Texas) became national favorites. The same has been true, to a slightly lesser extent, in wine. Most Americans know Washington wine as Columbia Winery, Columbia Crest, Chateau Ste. Michelle, or Hogue Cellars, all good wineries but NONE of those at all representative of what’s being done best in Washington’s wine culture. The same can absolutely be said of tasting Red Hook and Pyramid and extrapolating anything about Washington beer. While Red Hook and Pyramid – especially Pyramid – make some wonderful brews, they are both outside the mainstream of what’s really happening here. 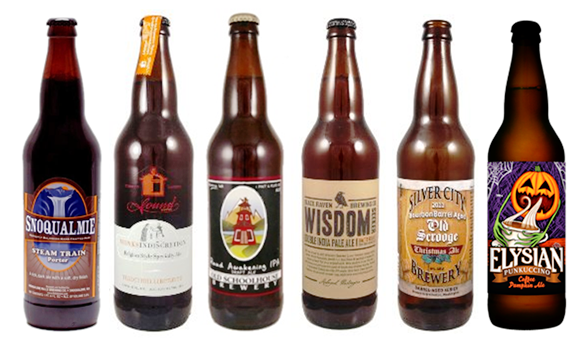 The best beers from the top Washington breweries almost can’t be considered as the same category as corresponding beers from Red Hook and Pyramid. If that’s what you’ve tried from Washington, you really don’t know Washington. But the uber-ambition, the willingness to do Whatever It Takes to become a Big National Name brewery, was actually limited to only two NW regional breweries: Widmer and Red Hook. Both signed on with Anheuser Busch (now the Belgian/Brazllian-owned AB/InBev) for distribution and both immediately sank like rocks in the estimation of craft beer fans. Widmer’s quality remained solid but Red Hook went into a long tail-spin that is nowhere near over yet, as they’ve adopted, down to their chromosomes, the AB notion that you can made so-so beer and sell it broadly by relentless marketing. Today, when knowledgable NW craft beer fans are asked to name their top 25 regional breweries, neither Widmer or Red Hook appears on anybody’s list. So, why didn’t Washington’s breweries package and distribute beer? Simple: they didn’t have to. 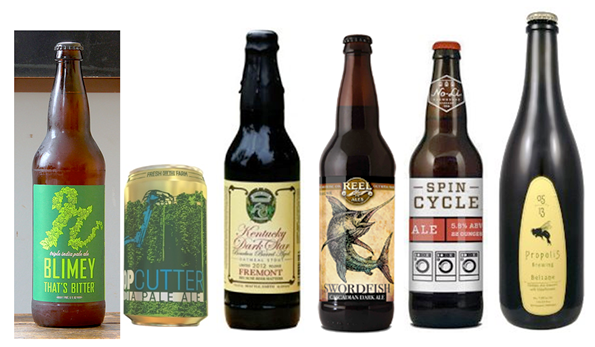 The Northwest in general, and Washington particularly, is a place where folks drink craft beer – lots of craft beer. A comparable-sized brewery in another state can and probably would have some excess to sell off. For a solid thirty years, we here in Washington simply drank up what was made here. All of it. 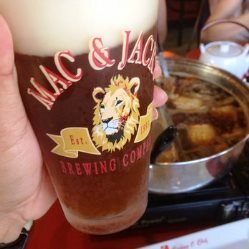 The world’s largest keg-only craft brewery sits exactly 4.4 miles from my front door: Mac & Jack’s Brewing Company of Redmond, Washington. Mac Rankin and Jack Schropp started the brewery in 1993 and their African Amber quickly became one of the West Coast’s iconic beers. Washington’s first unfiltered beer, African Amber is delightfully and immediately hoppy, deliciously hazy and rich, and almost impossibly smooth. It’s one of the country’s most widely cloned beers, with homebrew sites crammed with recipes by people who have tried to reproduce it. After tasting between four and six hundred Red/Amber ales in the past fifteen years as a beverage buyer, I will usually choose a M&J Amber from almost any collection of others in that style for sheer drinking pleasure – a remarkable and wholly unprecedented statement for me to make about a beer that I first tasted twenty years ago. But, as Mac told me the last time I talked with him about it, Mac & Jack’s has never bottled or canned mostly because they didn’t have enough beer to do it. As of spring of 2013, M&J was running 1000 barrels behind in filling orders, this despite taking over most of the office/light industrial park in which they’re located and brewing in three shifts, round the clock, 24/7/365. One thousand kegs behind. M&J turns out over 225 barrels a day, with little or no variation and zero slippage in quality. African Amber routinely outsells Budweiser, Miller, Coors, and Pabst in Washington’s taverns; one of the very few craft beers to turn that trick anywhere. (another that does, Georgetown Brewing’s “Manny’s Pale Ale” is made here in Seattle by Manny Chao…a former employee of…Mac & Jack’s) And not a drop of this beer is distributed outside the WA/OR/ID/MT region. Packaging beer costs significant $$$. There are myriad hoops to jump through: endless forms to be completed and distribution deals to be worked out, labels to design, patents to file, inspections to undergo, and a lot of money to be shelled out. 95% of all American craft brewers are small operations; typically less than ten people on staff. If you’re gonna get your brand Out There, onto the beer shop shelves of America, you gotta want it bad and you have to divert a ton of man-hours and a lot of your operating capital to make it happen – and then you have to sacrifice a percentage of your profits per bottle to get it professionally distributed, so that your beer that sells for six bucks a pint in your taproom doesn’t wind up costing $14 a bottle on a store shelf. Washington’s breweries have survived at a mind-boggling rate. There have been a total of over 300 brewing licenses granted in Washington in the past 15 years. I know of less than a dozen that that are gone and at least five of those were tiny nano-breweries whose owners ran them mostly for a hobby. There have been no major brewery closures, unless you count Baron Brewing/Three Skulls, which closed out the German-inspired Baron because, in the ale-centric Northwest, German lagers are a hard sell, even for a world-recognized icon like Wil Kemper, whose Chuckanut Brewing of Bellingham is arguably the best producer of those styles in the world that doesn’t live at a German address. Seattle’s breweries, Washington’s breweries, are starting to package beer, now, in a major way. Sadly, for the vast majority of America, Washington beers are still almost impossible to find. Even for breweries like Sound and Reuben’s Brews and Black Raven and Fremont Brewing, which do produce multiple labels and style choices, the basic rules of small business still apply: you have to make a lot more beer than you’ll sell locally to have the stock to sell in wide distribution. While I was helping run LetsPour.com, one of the pioneering craft beer online retailers in the US, we shipped a huge amount of Washington bottled beers to 38 states all across the continent. The response was immediate and wildly positive. 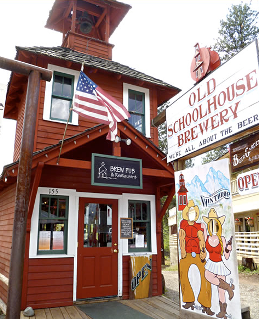 LetsPour’s largest-selling WA breweries: Elysian and Old Schoolhouse Brewing, a remote operation located in the phone-booth-sized hamlet of Winthrop, nestled in the Cascade Mountains, about sixty miles from the Canadian border. Never heard of them? I’m not surprised. And they they are arguably one of the Northwest’s best breweries. What’s a Pour Boy to do? Sebowski, let me nutshell this for ya: I rated Seattle third in The Pour Fool’s “Ten Best Beer Towns” because it deserved to be. Not first, which is so clearly San Diego that it’s idiotic to even suggest otherwise. And not second because, although Portland actually has one or two fewer total breweries, the general quality level is just as high as Seattle, and the variety of styles is light years more broad and varied. My only criticism of Washington’s brewing culture is the same as it was ten years ago and is still absolutely true: we are quite possibly the Number One region in the US for British-derived beer styles but that’s almost ALL we make. Out of this entire state, fewer than six breweries specialize in anything other than the Pale/Amber/IPA/Stout/Porter/ESB/Scotch ales of those UK traditions. Most breweries make the occasional barrel-aged this or Belgian that but there are almost no equivalents of a breweries like Portland’s Cascade Barrelhouse or Upright Brewing, Denver’s Crooked Stave or River North, Michigan’s Jolly Pumpkin, San Diego’s Lost Abbey, Texas’ Jester King, or Vermont’s Hill Farmstead. Washingtonians are notoriously habitual and I run into people almost daily who are quite ready to hold forth for an hour on why fruit beers and sours and other “weird beers” are an abomination unto nature. I know several brewers here who are making stellar Belgian-style ales and have to go out of the state to sell ’em; in one case, the guy’s Japanese and Canadian sales outpace his Washington figures. Another fella offered to give me a case of his Third Anniversary Dark Belgian-style ale because it was just sitting in his warehouse, going nowhere. On a whim, he entered it in GABF 2013…where it took a silver medal. He knew it was that good, I knew it was that good. Our local beer geeks…did not. And didn’t really want to know. FACT: If Washington beers were as readily available to the rest of the country as Colorado’s or California’s or Samuel Adams or Dogfish or Stone, I don’t think anybody would bat an eye at Seattle ranking third in a list like mine. Ultimately, I can’t help where I write this blog. I’m in Seattle, love it here, and have no desire to leave. So, suspicions of favoritism are going to be drawn and made. I’m okay with that. But it would be just as dishonest of me to arbitrarily devalue Washington breweries just because I’m prickly about being seen as a homer as it would be to rate Seattle as first on that list. I’ve visited the cities mentioned and tried the beers first-hand. Third is where Seattle belonged but I have a pretty good idea that, if I do the same list a year from now, it may well wind up fourth or fifth, behind one of the two Colorado epicenters. I’ll know when the time comes but as for that 2013 list, Sebowski, no homerism entered in. I know intimately how good the Seattle breweries are. If you don’t, you probably haven’t been for a visit and almost certainly haven’t tasted the best of them in a bottle or can, ever.